Satan Burger explores a new kind of apocalypse. Not an apocalypse caused by disease or nuclear war, but an apocalypse of boredom. A plague of monotony has spread across the countryside, sucking all passion and inspiration out of everyone over the age of twenty-five, leaving only the disenfranchised youth to fend for themselves in a world crumbling around them. 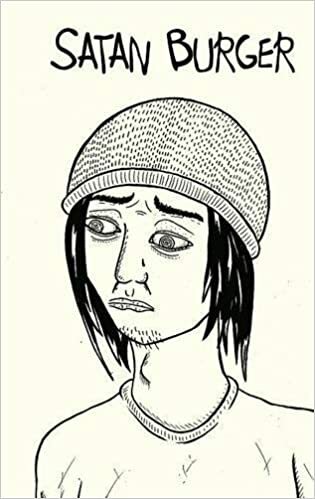 Featuring a narrator who sees his body from a third-person perspective, a man whose flesh is dead but his body parts are alive and running amok, an overweight messiah, the personal life of the Grim Reaper, a race of women who feed on male orgasms, and a motley group of squatter punks that team up with the devil to find their place in a world that doesn't want them anymore.